Letter School | Mrs. Anton's Class! 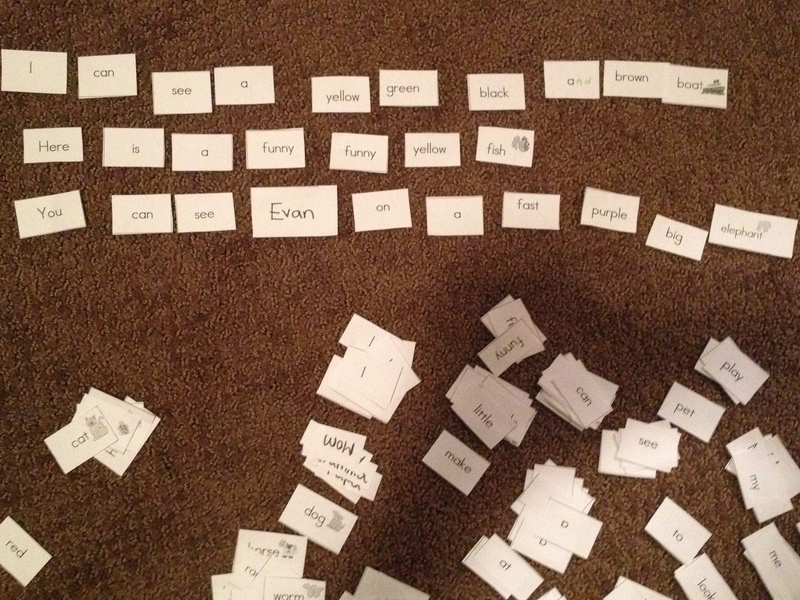 We have been having fun making sentences! 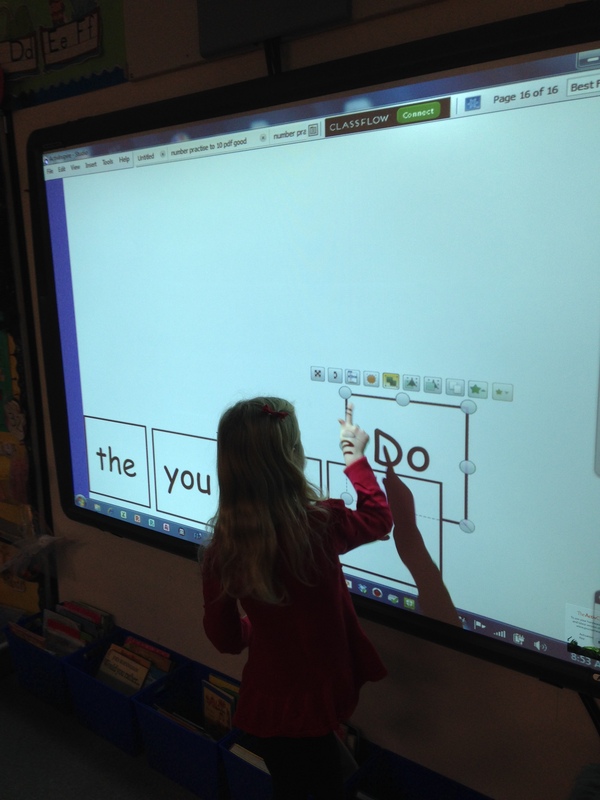 The children love making sentences on the Promethean Board. 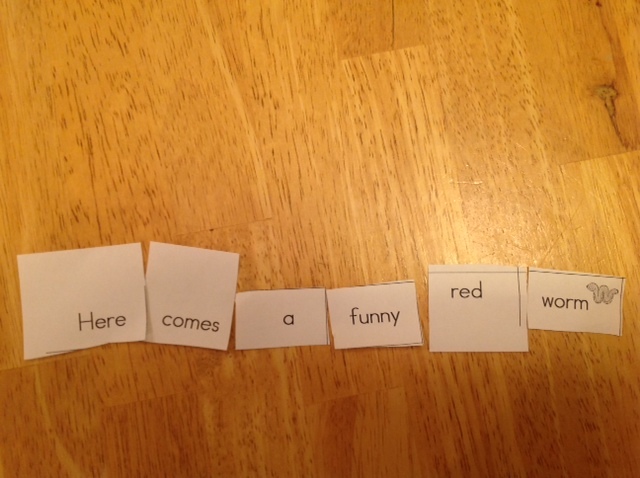 Thank you to everyone who sent me their sentences using the word banks that were sent home! 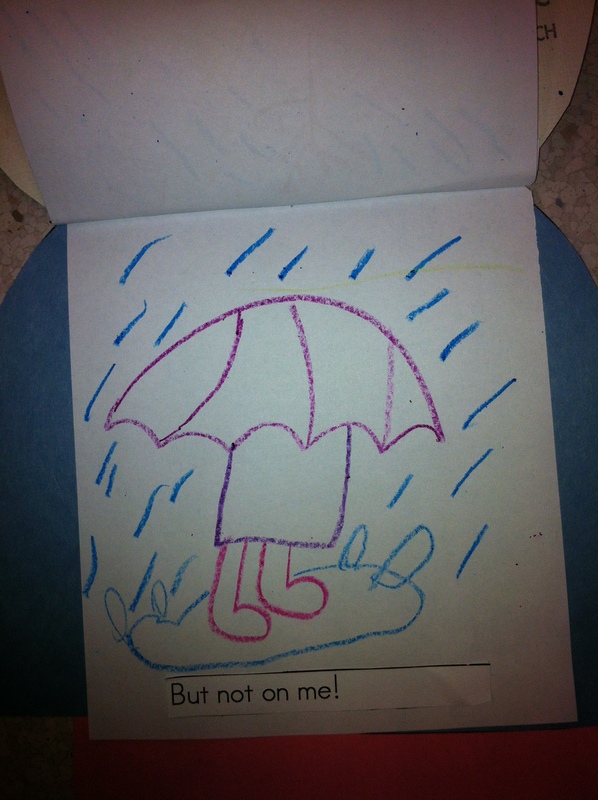 The pictures are awesome and the sentences are fantastic! 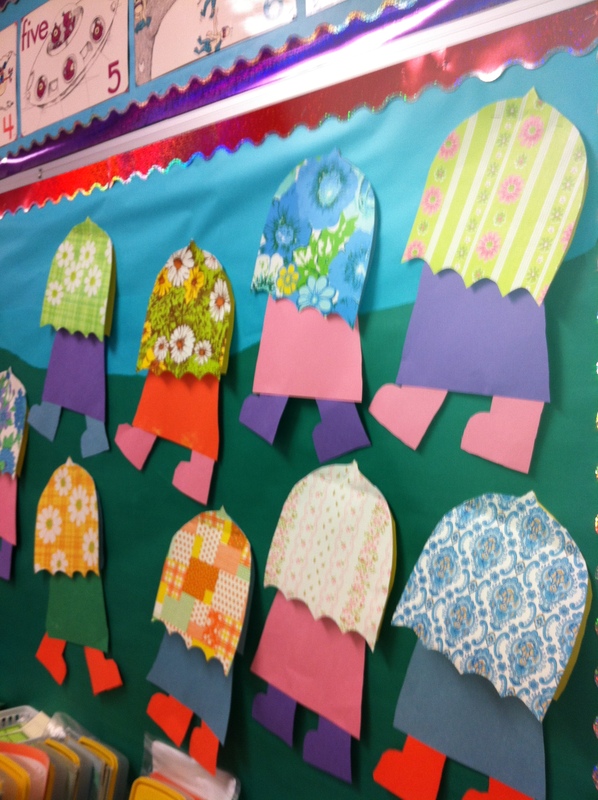 Here are just a few samples! I have a lot more and will post them over the next little while! This is a neat idea from Evan’s family that I have to share! They made flashcards of all the Pre-Primer Dolch words and put them on his bedroom ceiling. 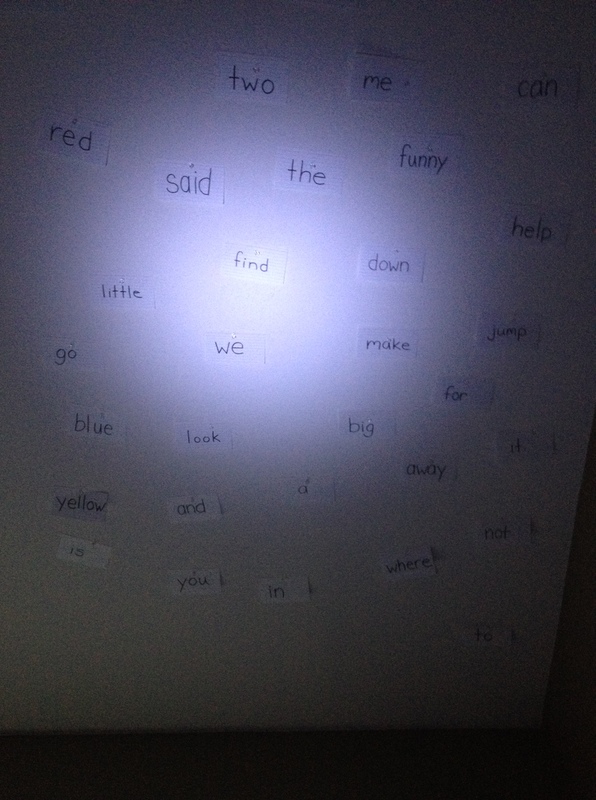 Then Evan used his flashlight to find words to read! Too much fun! I think I will try it with our next word list in the classroom! 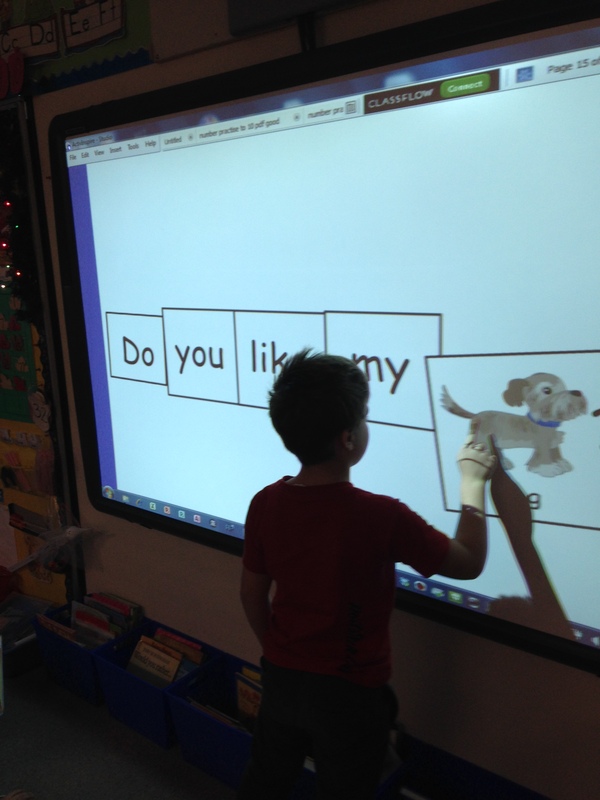 The children have to spell the word to match the picture by dragging the appropriate letters to fill the boxes. It has several levels of difficulty ranging from simple three and four letter words to more complicated crossword puzzles. The children really like it because it rewards each correct answer with a fun page that lets them move a variety of images around the screen. 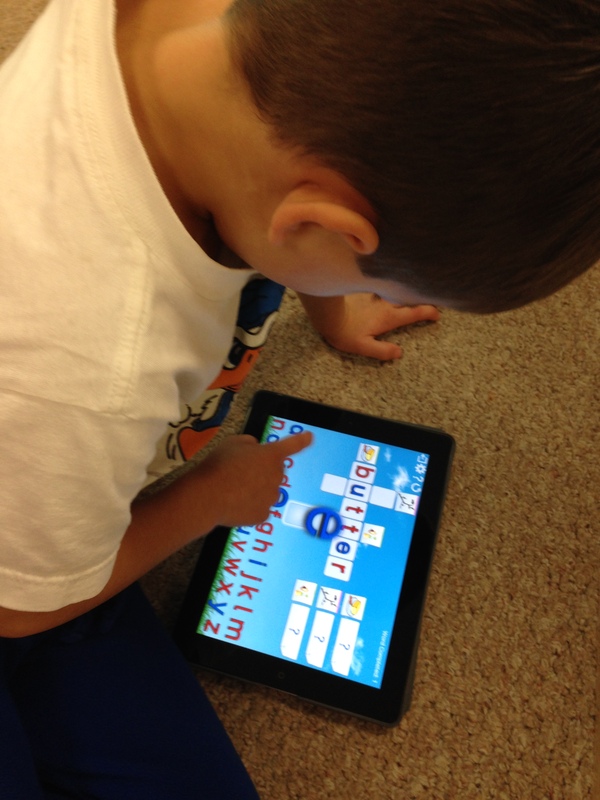 The other word recognition app we have been using a lot is Word Bingo. 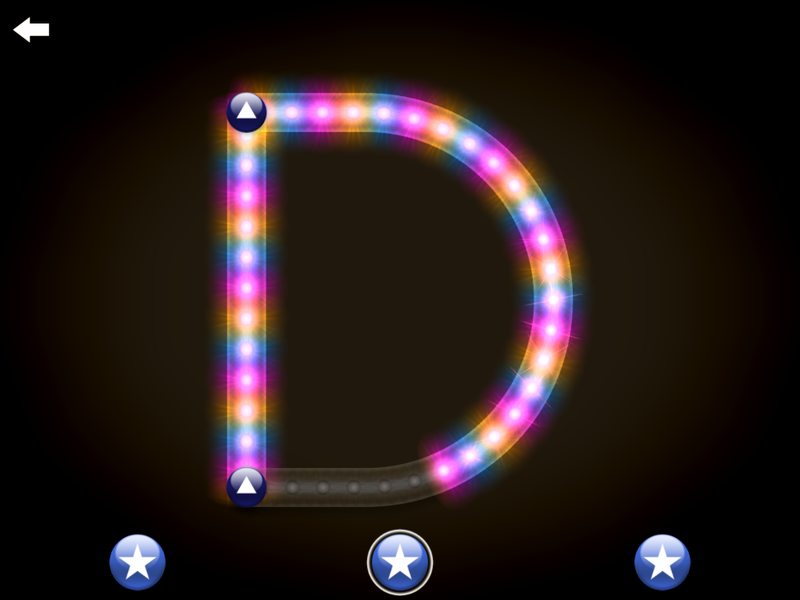 This is a great little app that lets the children practice the Dolch word lists. There is a bingo component and a spelling component. You can also find this game on the ABC Ya! site. We have a link to the game on our classroom WIKI! We have been working on learning to print our numbers and letters correctly. Guess what! There is an app for that! My favorite one is called Letter School. This is a very popular app. The animations are amazing. My favorite one is the lawnmower! It is fun to listen to the children giggle at the animations. It is really fun when I attach the iPad to our Promethean board! They love the one with the fuse! It looks like it blows up and shakes the whole screen. Learning how to print can be lots of fun! 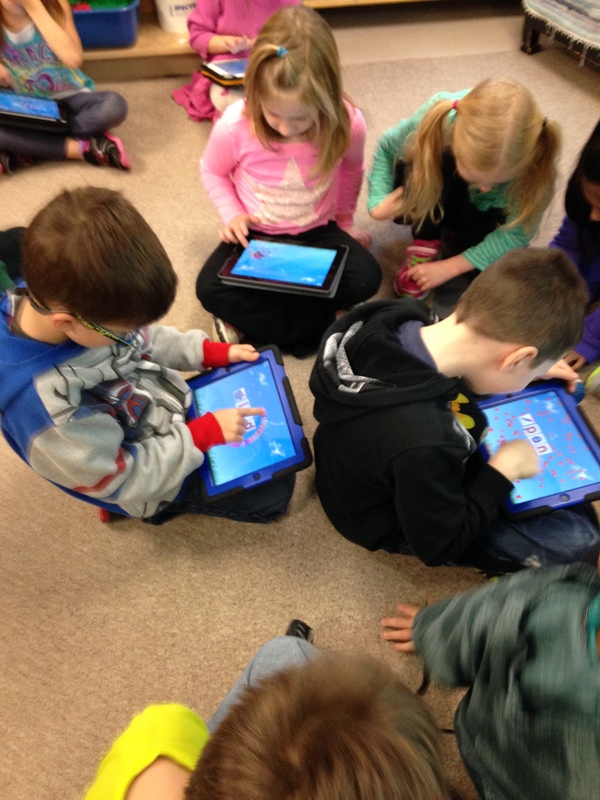 Today I introduced one of my favourite iPad apps to the class. It is called Letter School! 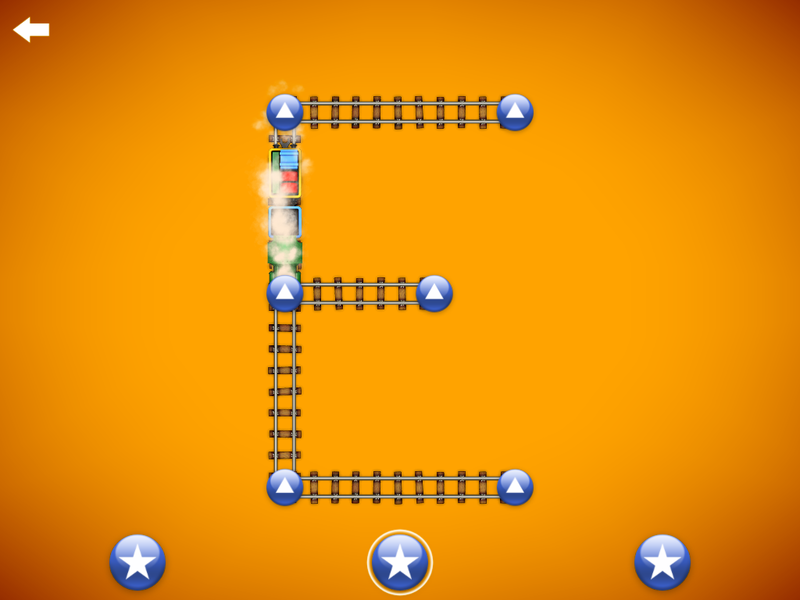 It is an awesome app that presents learning how to make the letters of the alphabet in a very engaging way. We are really lucky because I can present the apps on the iPad and all the children can see and hear it on the big screen with the use of the projector. I have a special cord that lets me connect to the projector. It is a great way to introduce the app to everyone at the same time. 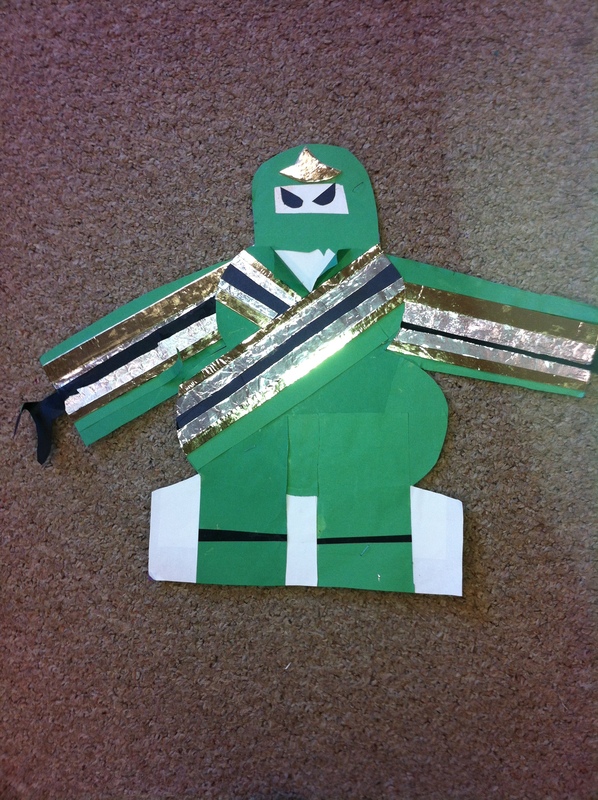 I had a student use the app and all the children could see and hear it. 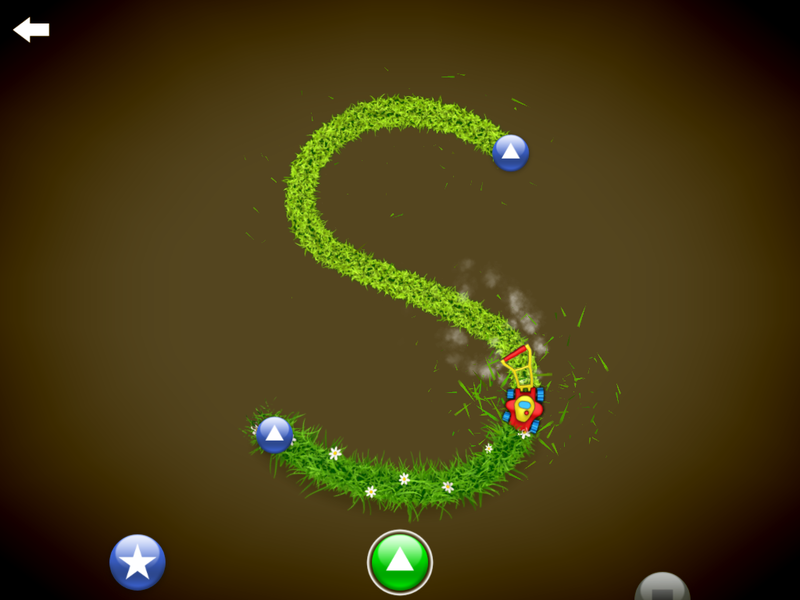 The student makes the letter using the arrow cues and these amazing animations appear to make the letters. It is awesome to hear all the giggles as they learn their letters! Too much fun! The children worked in small groups sharing the iPad and taking turns making the letters. I have a special headphone adapter for the iPad that lets several children use it at once! They were very co-operative and took turns really well! 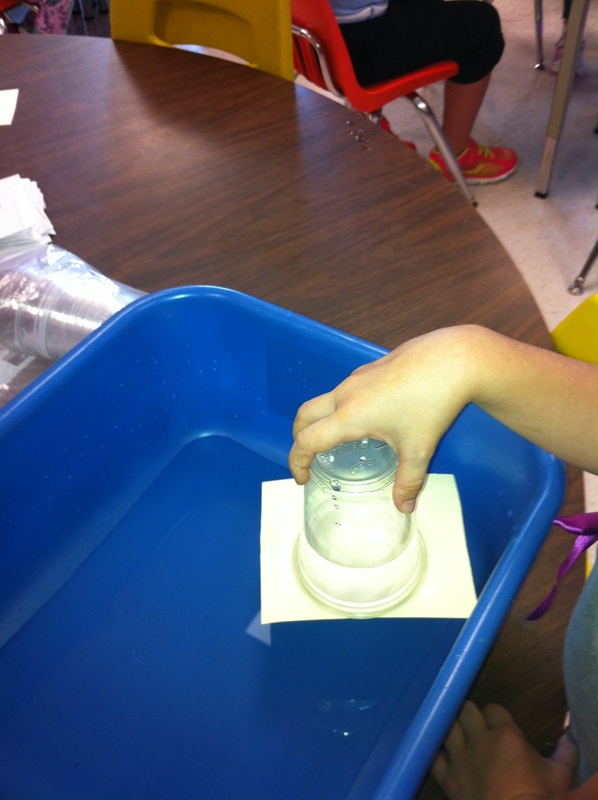 We did another science experiment today! I love watching their faces the first time I demonstrate it. Each child got to try the experiment on their own. All you need is a cup, some water, a piece of cardboard, and a place like the kitchen sink to work at! 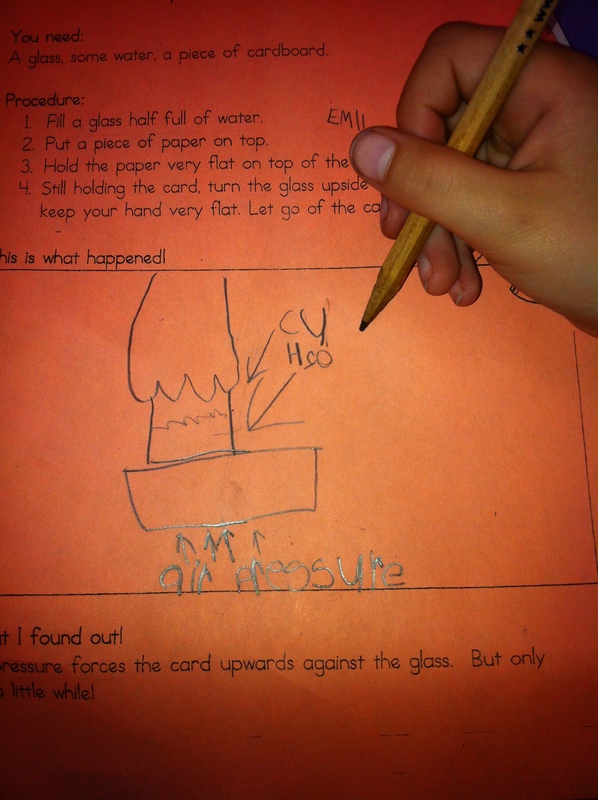 We talked about why the water stayed in the cup! 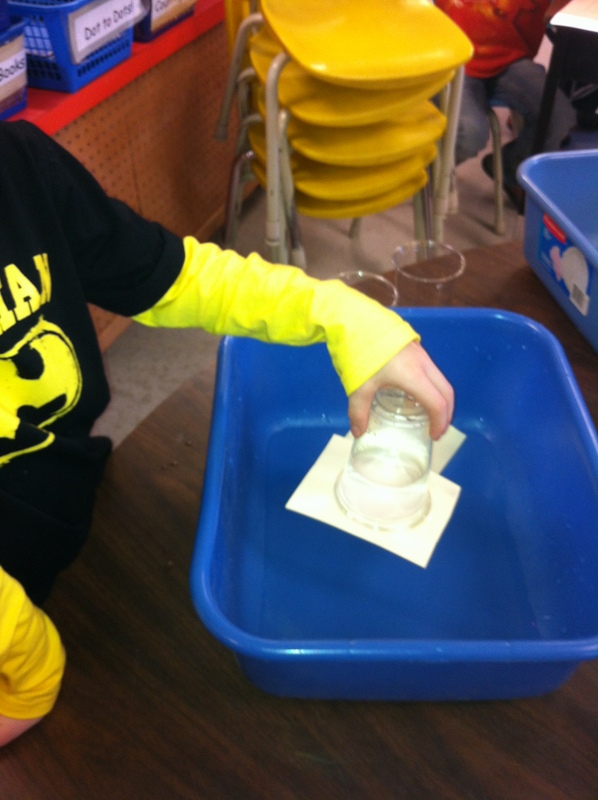 One student’s water stayed in their cup for over half an hour! Eventually, the cardboard gets saturated with water and the seal releases. 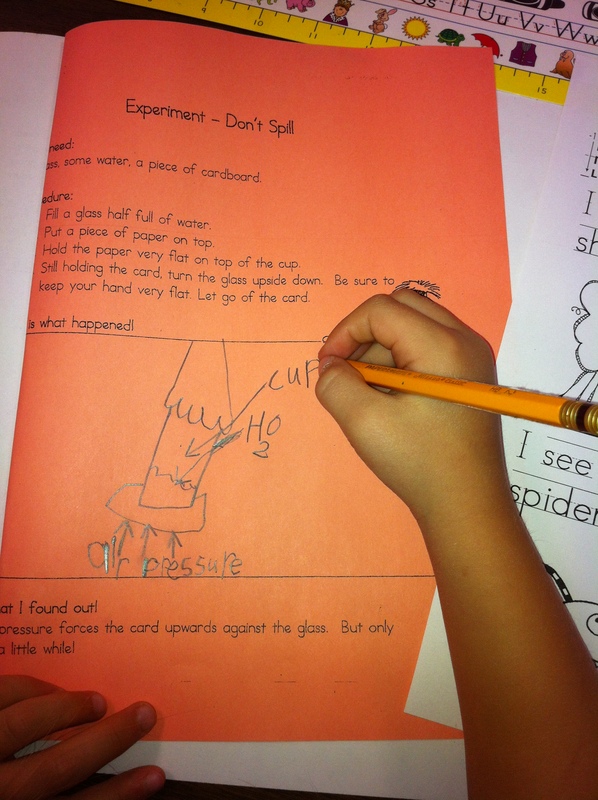 The children illustrated the experiment and labelled their drawing. It is always fun to see their faces when the water stays in the cup! Science is magic! 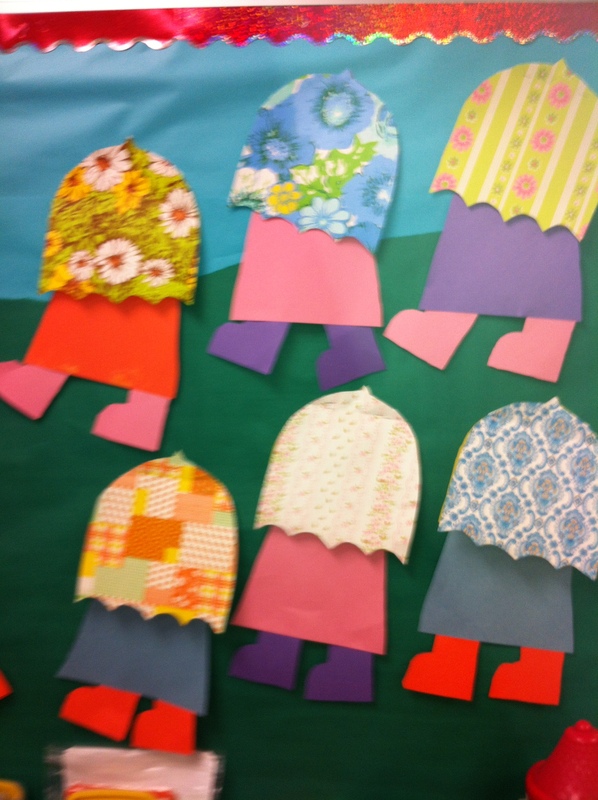 We had fun last week creating these little people carrying umbrellas that are much too big for them! 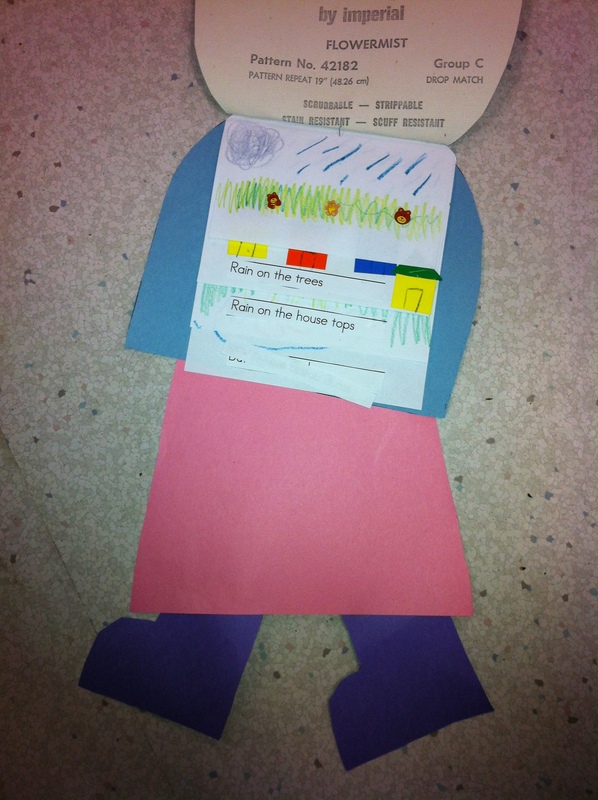 The children created little flip books based on the poem “Rain on the Green Grass” ! 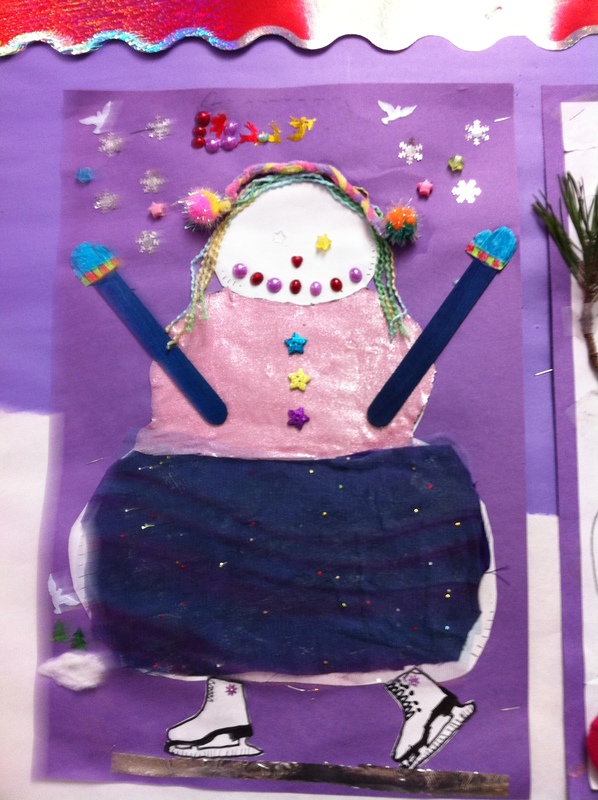 They did a great job illustrating them, don’t you think! Isn’t it amazing that old wallpaper books have the exact patterns that we sometimes find on umbrellas! I love to surf the app store looking for new apps. This is my latest find! It is called Letter School. 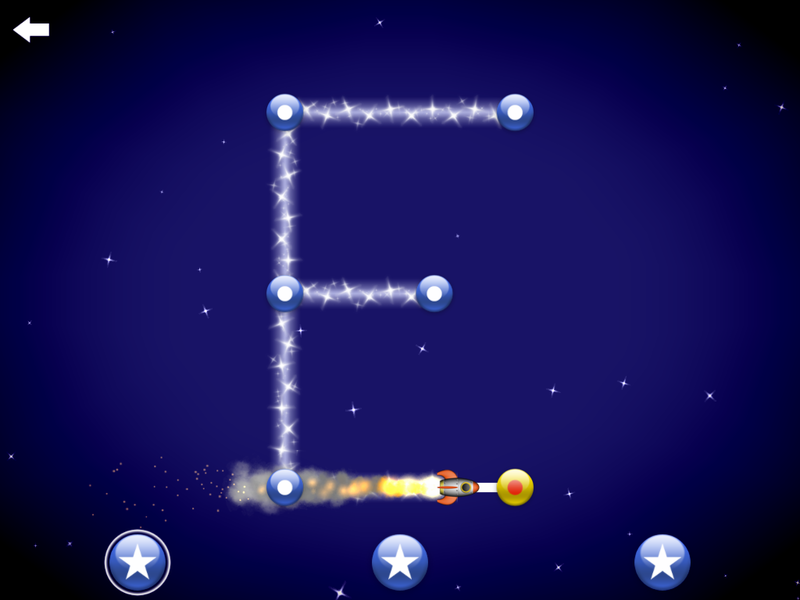 It is a great app about learning how to form letters and numerals correctly. And the best part is that it is fun! I showed it to the students today and I wish you could have heard all the giggles! 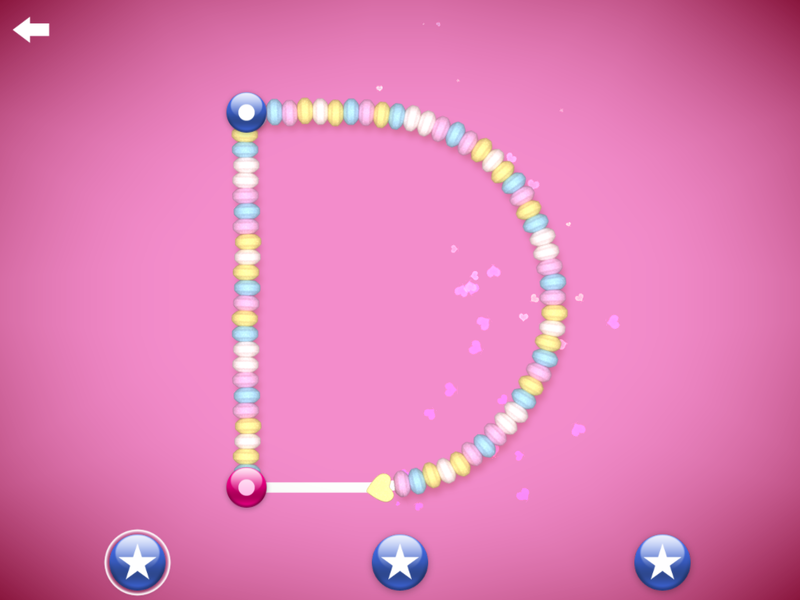 It teaches how to form both upper and lower case letters in the conventional format. They had a great time working with it. We continue to share the iPad using the Belkin headphone and some excellent sharing skills. Everyone enjoyed taking their turn! I am hoping that some students will pick up the correct formation of some of the letters they are still struggling to learn to do in the conventional format! If you move your finger in the wrong direction it won’t move and just makes a funny little noise that indicates that you need to try a different way. The animations for the letters are amazing! 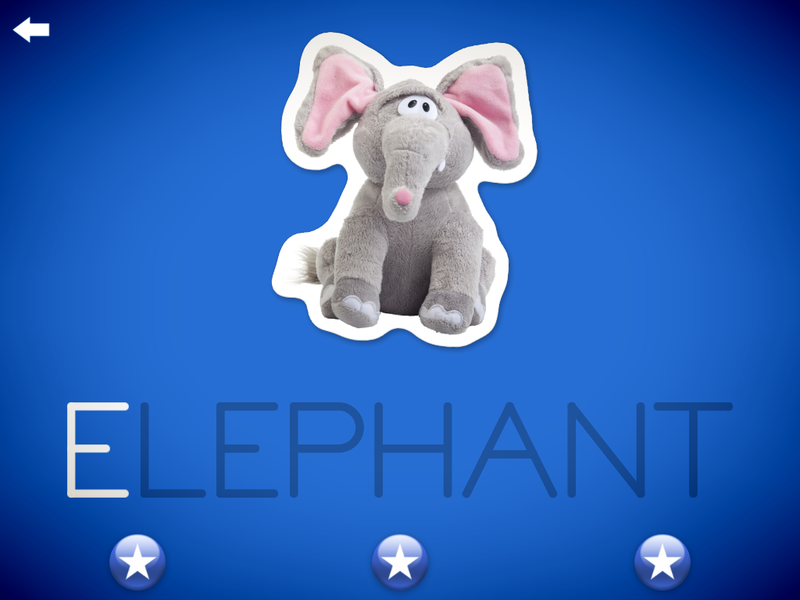 If you have someone in your house who is just learning the names of the letters and how to make them you definitely want to check out this app! 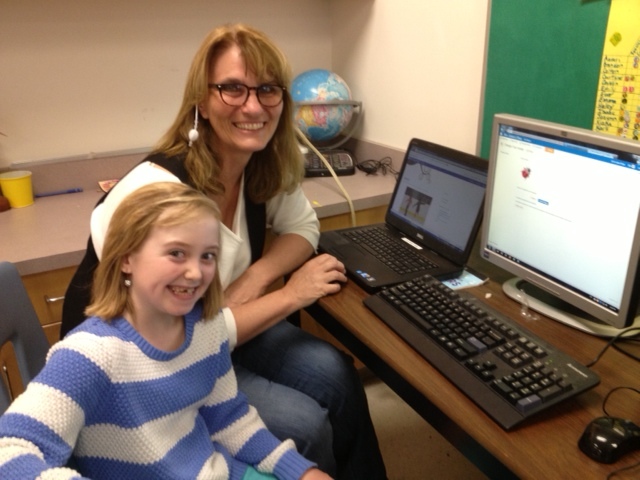 Even students in Grade One AND THEIR TEACHER love this app!